“I’ve had bigger fears until now (as an amateur),” said Kawauchi, who previously held serious practices twice a week or so and ran as many as 780 km per month, while some of the top industrial athletes cover 1,000 km. “I was called the ‘Civil Service Runner’ and if I failed, complaint phone calls would ring, for example. There were things that were tougher than being a pro. Being a government worker, the phone number and address (for your workplace) are all open. That means you could directly get letters, you could directly get phone calls. Kawauchi acknowledged that he’s pleased to be called a trailblazer, being successful as an athlete while working as a full-time employee. He said that when he started juggling both roles, there weren’t many others doing the same thing. But those runners have increased with his presence getting greater exposure. 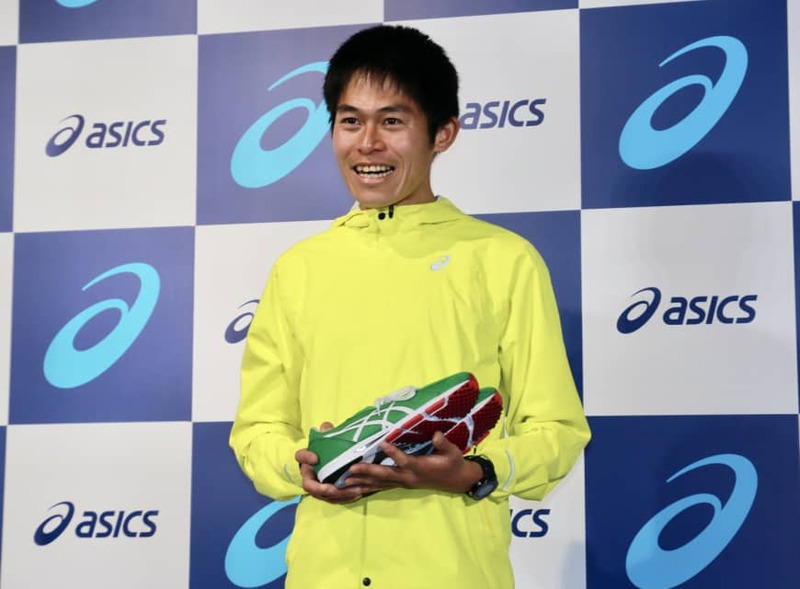 “I think I was able to inspire those (that followed my path) a little bit,” said Kawauchi, who is getting married to a former long distance runner, Yuko Mizuguchi, in May. There are already many pro runners in Japan, but Kawauchi stressed that he would like to be one of a kind . He thinks that there are two kinds of pro runners in the country: national team-level runners who don’t make many public appearances and others who aren’t as good that show up at events to promote the sport. Kawauchi wants to handle both roles, being competitive and recognized by the public. As an amateur runner, Kawauchi didn’t have any social media accounts. That changed on Monday, when he created a Twitter account (@kawauchi2019) and opened one on Facebook. By Thursday night, he already had more than 15,200 followers on Twitter. 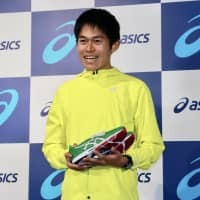 Kawauchi plans to participate in at least four races this year, including the Boston Marathon on April 15, where he will compete as the defending champion. The 2014 Asian Games bronze medalist also aims to compete at the upcoming world championships in Doha, which will be held Sept. 27-Oct. 6. Kawauchi would prefer to compete at worlds over the Olympic trial Marathon Grand Championship in Tokyo on Sept. 15. He is reluctant to make a commitment to compete at the 2020 Tokyo Olympics, acknowledging he cannot excel in a race that is held in potential extreme heat on Aug. 9. Actually, there’s also another reason, which is perhaps a new one for him as a professional athlete. Beyond Tokyo, Kawauchi is targeting a podium finish at the 2021 world championships in Eugene, Oregon.